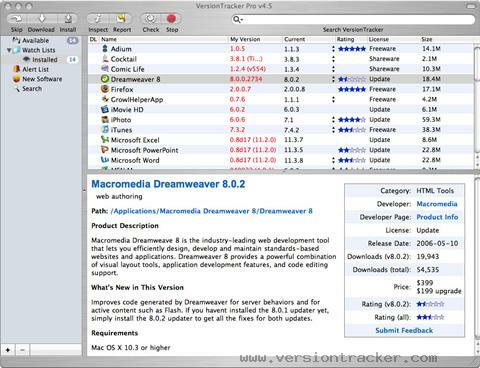 New versions to a software or applications always brings in changes and betterments to it, and the developer tries to keep it bug-free and better than the previous version. And if you sit to check for the updates of each of your applications manually, your day would end just searching and updating them. Most of the Mac users might be knowing that the system automatically tries to search for updates of the main applications that were inbuilt, and this is done every week or month. But it does not search for any new versions of your applications that you had installed after starting your Macbook for the first time. Making your macbook more user-friendly by downloading the best mac applications isn’t enough to run them always as there might be some upgrades done by the developers. 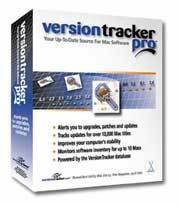 For there, let me tell you about a tracking software for Mac, called VersionTracker. 1. Feedback notification – Get notified when information or feedback is posted on an unlimited number of applications you are interested in following, whether you have them installed or not. 2. Viewing available updates – You get notified only about the available updates of the applications that you desire. 3. Download Manager – There is a download manager for the update downloads which includes retries, uninterrupted downloads and also resume paused downloads. 4. Sharing of download – There is a bonjour download share which helps in sharing downloads, and makes the download fast and saves bandwidth. 5. Skipping of update – An update download can be skipped by us and still we would be notified about its next version release. So its just a cool tool that i thought to share with you all 🙂 You can download the .dmg file to your macbook from here. The software feature is good, and mac user, no need to keep monitoring those software that they have installed, and whether there is any updates available yet. Nice catch chetan. It work great on Windows base too.